10th U.S. Open Qualifier & 17th USGA Qualifier since 1999! Notably only the 3rd public course to host this prestigious event in 98 years! U.S. OPEN Qualifier, Maryland OPEN Championship & OPEN to everyone! Cocktails, Delicious Food, Televised Sporting Events & Live Feed of 18th Green! Our professional food service staff will cater all your banquet needs from an outdoor barbecue to a lavish cocktail and hors d’oeuvre party or an elegant banquet. 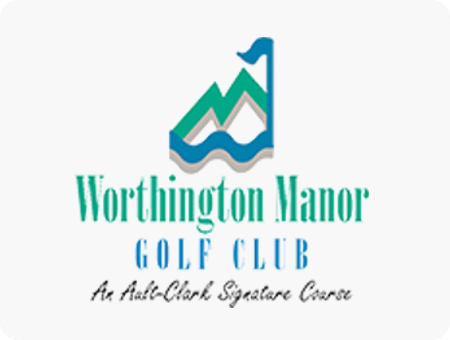 On Tuesday, May 7, 2019 Worthington Manor Golf Club will host its 11th U.S. Open Qualifier. The Board of the Maryland State Golf Association has selected Worthington Manor Golf Club to host the 98th Maryland Open Championship in July of 2019. I have played this track numerous times, and it’s fantastic. It’s a great price, a solid challenge, particularly from the tips, and allows for errant tee shots (at least on some holes. The maintenance of the course is always great, and the greens are some of the best around. Best public golf course accessible to DC, IMHO. Laurel Hill and Stonewall (in VA) have nothing on this course and they don’t have good twilight deals like WM does. WM also doesn’t charge you for a cart when you walk. This course is difficult, hilly, picturesque, and well-maintained. Love, love this track. Actually I like it a lot better than Whiskey Creek and PB Dye which are close by. One of my favorite courses in the DC area. Range is solid and you usually get to hit of grass. The putting green is very similar to the greens on the course, in terms of speed and slope. Want to know when we have news? Sign up for our e-mail promotions now!